Good news! The newly launched Samsung Galaxy S4 will start rolling out at the end of April 2013. 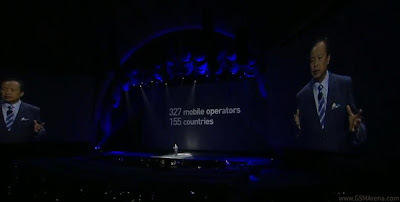 It will hit 327 carriers/telcos across 155 countries worldwide. The Galaxy S4 is said to come in two versions: one running on Snapdragon 600 chip and another running on an Exynos 5 Octa chipset with quad-core Cortex-A15 and quad-core Cortex-A7 combo. It's not clear yet which market will get either of the two versions or maybe both. The carriers to offer the Galaxy S4 in the US will be AT&T, T-Mobile, Sprint, Verizon, Cricket, and US Cellular. Expect more carriers from other countries to confirm that they will be selling the Galaxy S4 in the coming days.